When one of our customers walks into Rusty Wallis Honda, the first impression he or she gets is the awe looking at of our extensive inventory of new Honda Vehicles. From the fuel-efficient Honda Civic to powerful Honda accord, our Dallas, TX Honda dealership. Before you visit us from surrounding communities such as Richardson and Mesquite, take a little time to read the praise that our customers give us online. Not a day goes by when another strong endorsement of our Dallas dealership does not appear in print or cyberspace. Many of the reviews mention that Rusty Wallis Honda operates on of the most generous trade-in programs in the area. Schedule a test drive to see why we lead the Dallas automotive pack. Rusty Wallis Honda operates the generous trade-in program because our Dallas, TX dealership wants to present the largest and highest quality pre-owned vehicles selection for our customers from Rockwall and Mesquite. Our certified pre-owned cars undergo rigorous inspections that cover more than 100 points of any vehicle, not just vehicles designed and manufactured by Honda. When you drive off our lot in a certified pre-owned vehicle, you know that you have a car that performs at top-notch quality. We also lease certified pre-owned cars to meet your financial needs. We offer an ever-changing list of incentives and specials to make buying a new Honda even a little sweeter. Our great leases provide customers that visit us from Dallas suburbs such as Mesquite and Richardson, TX with affordable ways to commute to work, as well as take their families on outings throughout the metroplex. You can also defray the cost of purchasing a new or used vehicle at our Dallas, TX dealership by trading in your vehicle. Use our online tool to value your trade to get an idea of how much you can expect to put down for a vehicle displayed at Rusty Wallis Honda. We welcome customers from all of the credit score range, as our mission is to serve all of greater Dallas, Texas. 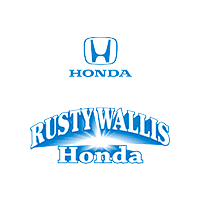 Rusty Wallis Honda works with a wide variety of lenders that cater to your credit history. Our finance department will walk you through the steps of buying a new car. Our helpful team can show you options even if you are in the process of rebuilding your credit. Trading in your vehicle for a new or used car at our Dallas dealership is only the start of the financial rewards that you reap. We offer other financial incentives to help you stay within your car-buying budget. From lease specials that reduce your monthly payments to large discounts on the purchase price of a new Honda Fit, you can expect to walk out of the dealership with a healthy balance remaining in your savings account. As our friends from Dallas suburbs such as Mesquite and Rockwall, TX have known for years, Rusty Wallis Honda always runs new and pre-owned car specials. Rusty Wallis Honda not only ranks high in customer satisfaction surveys for its vast selection of high performance new and used vehicles, it also scores high for its service department. Customers drive dozens of miles from Dallas metroplex cities like Richardson to have their vehicles worked on by certified technicians that double as friendly customer service professionals. Our Dallas, TX Honda dealerships stocks that largest selection of OEM parts in the area, so you do not have to make multiple stops to find the parts you need to refurbish your Honda vehicle. All you have to do is schedule a service appointment, leave your car in our care, and carry on with your daily responsibilities. Stop by Rusty Wallis Honda today to test drive as many new or pre-owned vehicle that you want. We are conveniently located within a 20-minute drive from Rockwall, Mesquite, and Richardson, Texas.